Cefem Process and Edit will be on Hall 2 Stand E11Bis in Rennes the 12th, 13th and 14th of March. Please come to meet us! The measurement and test products will be presented. The all Cefem Group is sending you its best wishes for 2019. 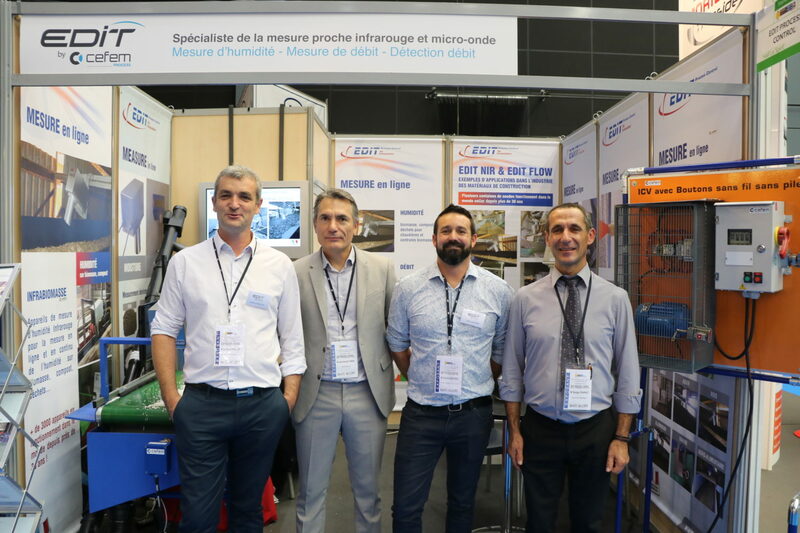 Edit by Cefem Process, the specialist in measurement and test equipment, was pleased to be able to meet you at the Vractech show in Macon, October 2018. We exposed our products made in France to meet the needs of the VRAC industries. 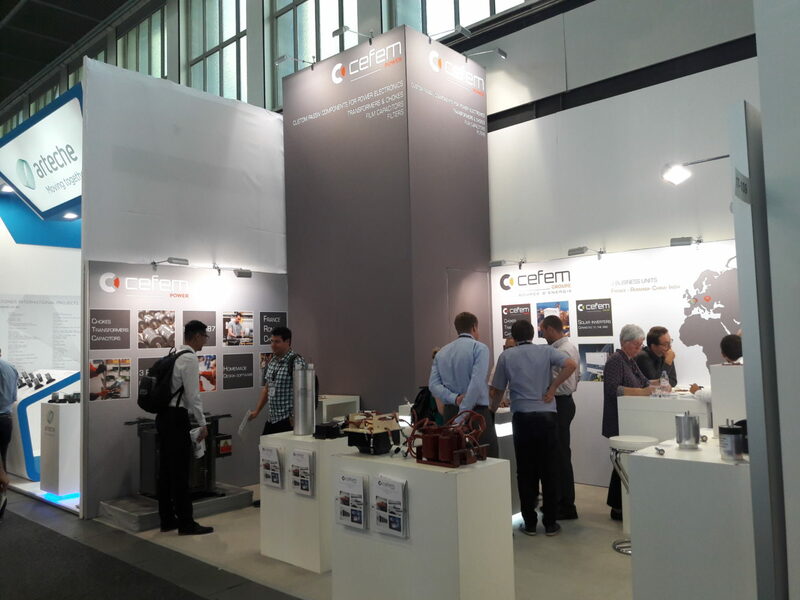 The show, very busy, was a success for Cefem Power. The unmissable fair for all railway players, Innotrans, will be held in Berlin from Tuesday 18 to Friday 21 September 2018. 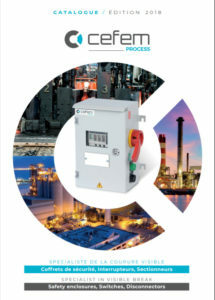 Cefem Power, a major player in passive components for rail, will be present. We will expose the inductors, transformers, film capacitors and filters specifically dedicated to this application. We will also be happy to show you our development method and industrial manufacturing in order to offer you products & services with the best technico-economic ratio. Thank you all for coming to our new PCIM 2018 booth! We presented our range of Cefem Power film capacitors and magnetic components dedicated to power electronics applications. 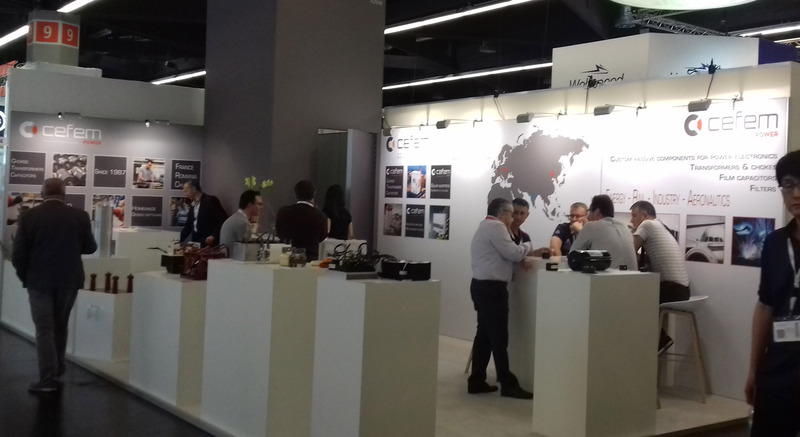 This year again, it has been a success, with many visits to discover our products and passive component solutions. The next appointment will be on Innotrans this September 2018. See you soon! You can download the new catalogue on this link. The Cefem Group is pleased to announce a new stage in its development. Indeed, year-end 2017, the company Edit Laser (10 people, 1.2 million € turnover) has integrated our industrial group. Edit Laser develops, manufactures and markets online and continuous measuring devices for heavy industries. To enrich our business and our skills in the field of measurement of industrial processes. The Edit Laser products will be integrated into the Cefem Process business unit.